Energy drinks has been known for many years because of its popularity worldwide. Because it contains caffeine and tastes good, workaholic people and some athletes have been regularly drinking these drinks to boost up their energy from a stressful work. But do they really help you boost up the energy? Or maybe it will damage your organs by forcing your stressful body to work even if you’re already exhausted? Meet Mary Allwood, 26, who got addicted to Red Bull energy drink, ballooned from a size 16 to a size 24 due to her addiction. Her liver was severely damaged and was rushed to the hospital which the doctors thought she was an alcoholic. She stated that she spent more than £2,300 a year on the drinks. 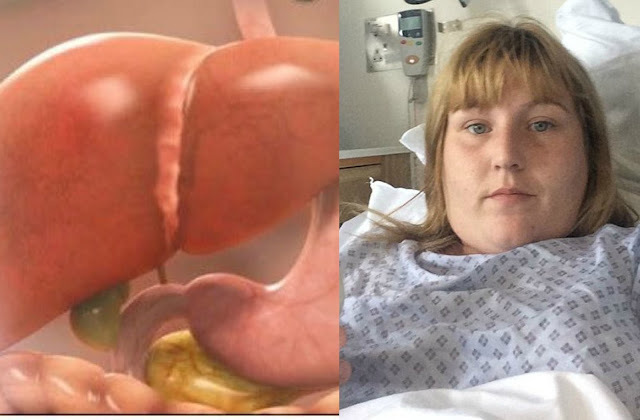 But last November 2015, she was rushed to the hospital due to severe pain on her side, her MRI result shows that her liver was two times larger than the normal size. After the doctors investigated the cause of her problem, they found out that the sugar Mary consumed was because of the high sugar content which causes her liver to deteriorate. There were also 2 fibrous lamps with one having the size of a grape and the other big as satsuma. After what happened, she quit Red bull, replacing it to 6.5 Liters a day of water. During her first few days, she was having difficulty of her withdrawal symptoms, mood swings and shakes, but eventually she was able to face all the struggles because of her addiction. She says that she knew Red Bull can cause unhealthy side effects but she thought she needed it and did not care the consequences she was about to face. It was like a heroin and would feel awful if she didn’t have it. She is worried about the thought that everyone can go in the store and buy it. She believes that it needs to be treated as alcohol and cigarettes.